A little over half the world’s population sees climate change as a serious problem (54% according to a 40-nation Pew Research survey). Coincidentally, roughly the same number identify as Christian or Muslim (55%). On the one hand, these statistics speak to the success of climate change communication. In just a few decades, climate scientists have convinced a large part of the world’s population that a set of powerful, invisible forces have important implications for the way we live. World religions took centuries to achieve similar success. On the other hand, religion spreads without the support of empirical evidence and is capable of generating changes in people’s behaviour that climate scientists would envy. Religion pervades almost every aspect of the lives of believers, from the food they eat to what they do on the weekend. We argue that scientists can take lessons from this. One way that religions succeed is to focus not just on what adherents say, but what they do. A key strategy is to encourage or require adherents (including leaders) to engage in behaviours that act as signals of commitment to their beliefs. Followers, for example, may be asked to dress in distinctive (often impractical) garb, engage in regular rituals in public (sometimes multiple times a day), or abide by seemingly arbitrary dietary restrictions. Even more is required of leaders, from highly restricted diets, giving up worldly possessions, to lives of celibacy. The costs of these behaviours make them hard-to-fake signals of sincerity that help spread belief to otherwise sceptical outsiders and bolster support among followers. We like to think that science is completely different. While religion is dogmatic and based on faith, science is continually questioning, grounded in the scientific method and the many useful predictions and technologies that emerge from it. But we do not, as individuals, test all the claims that scientists and science communicators make. Out of practical necessity, we must all take a good deal of what science tells us, as well as it’s implications for how we should live our lives, on trust. Al Gore’s 2006 movie An Inconvenient Truth was hailed as a turning point in public awareness of climate change, but it also attracted heated criticism. Some criticism was directed at the movie’s content, but much was also made of Gore’s apparent hypocrisy, including his use of private jets, home energy consumption and acquisition of beachfront property. While ad hominem attacks do not undermine the factual claims made in the movie, Gore’s actions undoubtedly reduced the credibility of his message to some people. If he is still flying extensively and buying up beachfront property, how bad can the problem really be? 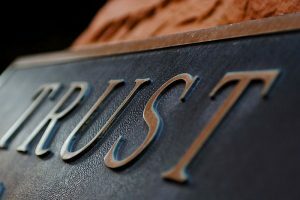 We argue that because all of us, scientists and non-scientists alike, must take much in science on trust, behavioural signals are potentially just as important to the spread of scientific knowledge as they are to that of religion. It does not follow that science and religion stand on the same epistemological foundations; rather it is an acknowledgement that trust in the vast stocks of scientific knowledge and its implications can only be established by any one individual using non-scientific means. Scientists and science communicators should therefore be prepared to make better use of signals, particularly costly signals, to demonstrate they are truly committed to what they are advocating. Whether or not An Inconvenient Truth was undermined by apparent hypocrisy, it was a lost opportunity on Gore’s part. If, for example, he had sold his energy-intensive mansion and refused to fly to his engagements, he could have sent a credible signal to the public that he was personally deeply concerned about the threat of climate change. As his new movie, An Inconvenient Sequel, is released around the world, he has another opportunity to bolster his argument with action. We do not wish to lambast leading climate change communicators for hypocrisy. There are plenty of others who do that already. But our point is this: although the validity of scientific ideas should be independent of their messenger, our actions matter for generating the kind of deep commitment to scientific evidence that will be required to tackle the problems of our time. Scientists and science communicators need to focus not just on what we say, but on the signals we send via our actions. Our own first step in this direction is a commitment to forgo air travel in 2018 as a costly signal of our belief in the need for urgent action on climate change. By far our largest contribution to greenhouse gas emissions is flying to academic conferences. A single return flight from Auckland to London is roughly equivalent to the average annual carbon dioxide emissions per capita of New Zealand. Carbon offsets are one way to address emissions from flying, but (efficacy aside) they are controversial and tend to be cheap and invisible, which makes them ineffective as credible signals of commitment. We make our commitment to forgo flying publicly and challenge other senior academics to do likewise. Forgoing flying, particularly for those in New Zealand and Australia, carries costs in that networking and exposure to new ideas can become more difficult. Giving a speech at an international conference is highly prestigious for an academic, and in New Zealand it is one of the criteria in our national research assessment exercise. With careful planning, we believe we can overcome some of the costs in forgoing opportunities to travel. We intend to make better use of prerecorded talks and video conferencing and support local and online conferences and research networks. By committing to these practices, and encouraging others to do the same, scientists can demonstrate that change is possible and send a powerful signal that they are personally committed to action on climate change. I think I got some increased credibility points with the environmental papers I teach by a) commuting by bicycle, even during inclement weather and b) having a vegetarian diet. Signalling seems to work at some level. We media train scientists all over the country, which involves a lot of travelling around the place – but planning on doing more online training seminars etc – Zoom is pretty good these days and platforms like Blackboard are good too. However for some types of training, face to face is really important. Leaving aside cost considerations and decades of dud predictions of Al Gore, I just find it hard to imagine that anybody with any intelligence would listen to what this fat-assed charismatic crank with a D in science has to say anymore. @ Peter Griffin….wth relevance to “training” scientists…..I would have thought that postgraduate scientists would be able to think and talk for themselves without your assistance. @Brendon Moyle…..when pushing your bike in freezing rain, sitting huddled up in a blanket under your energy saver lightbulb, gagging on that one too many bowl of lentils,….spare a thought for big AL and his blazing garden lights and heated swimming pool…..and consider yourself , as Peter would have you, a well “trained scientist”.